Rent The Heathman Lodge | Corporate Events | Wedding Locations, Event Spaces and Party Venues. The Heathman Lodge accommodates everything from board meetings and small breakout sessions to large weddings or trade shows accommodating up to 400 people in our expansive Vancouver, WA event space. The grandness and majesty of The Heathman Lodge is on display in our Fort Vancouver Ballroom (3,811 square feet) and in our smaller Lewis & Clark Ballroom (3,139 square feet). With their distinctive NW inspired lighting and wood-trimmed walls, each of our ballrooms in Vancouver, WA offers warm opportunities for your use. Theater seating up to 400 or receptions as large as 300 people are no problem at The Lodge. 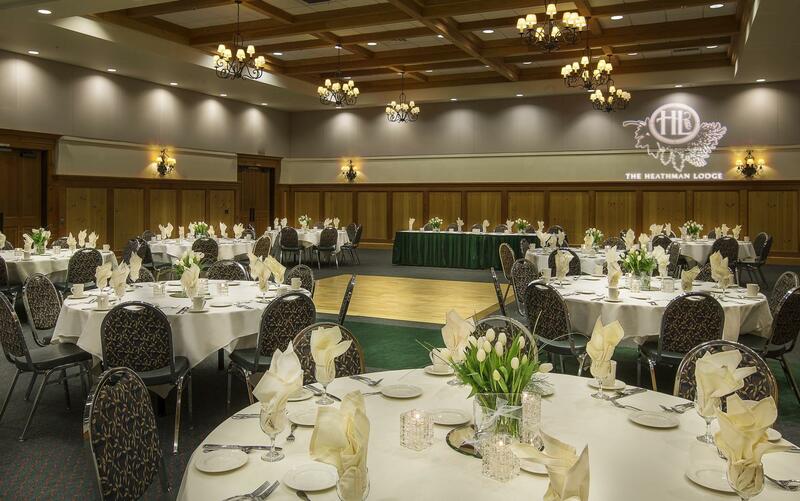 Each of the distinctive ballrooms and banquet halls in Vancouver, WA here is divisible into 3 smaller rooms for scaled down events or to create flexibility for your large event. Of course, you may choose to use the entire ballroom for grand weddings or larger meetings. Receptions for up to 300 fit comfortably under the 16’ ceilings. Your event may require trade show style booth setups, or individual breakouts for sales meetings. No worries…your Lodge staff can accommodate and help you find the right exhibit space and perfect trade show venue. Both ballrooms have more than 3,000 square feet. Each is divisible into three separate rooms, with 16’ ceilings. Rent out one for your large exhibit space, then set up theater style in the other for your group meetings. It’s really up to you how you utilize our space.